In each session you will have your participant hat on but also expected to be watching for facilitation tips which will be offered throughout. If you click on each of the session titles above you can download a PPT notes document to use as we go along. In between each session will be short activities to enhance your learning. Click to download an overview of the break activities. To prepare for the class you will want to review and personalize your Workplace report. Click here for a pre-work/personalization checklist. You were also given access to MyEverythingDiSC. With your account set up you can learn more about the DiSC Model prior to the class. 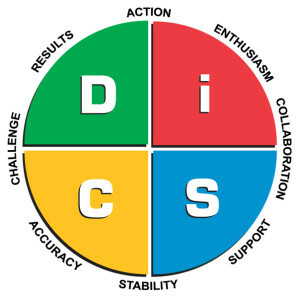 Click here for a Foundations Quiz to help solidify your knowledge of DiSC. The answers are on your MyEverythingDiSC. We will be using handouts during the session which your participants will also be using. Click here to download a PDF version of all of the handouts. Come back to this page after the live sessions to find links to the recordings which will also give you access to all of the documents we introduce during the training. For additional reinforcement, click here to sign up for a series of email messages which will take you back to your report for weekly application. You can use this link to register your participants as well. You might also want to check out our Bookends website where you can find interviews with authors of some great books to supplement DiSC training – The Great Connection, The 8 Dimensions of Leadership, The 4-Dimensional Manager and The Work of Leaders. You will find discussion guides you can download for a variety of applications as well as your own edification. You might also check out Susan’s book, 42 Rules of Employee Engagement which also contains DiSC chapters. We are looking forward to working with you as you bring this powerful behavioral model to your organization.